Having trouble finding a supplement to support the whole family's immunity? 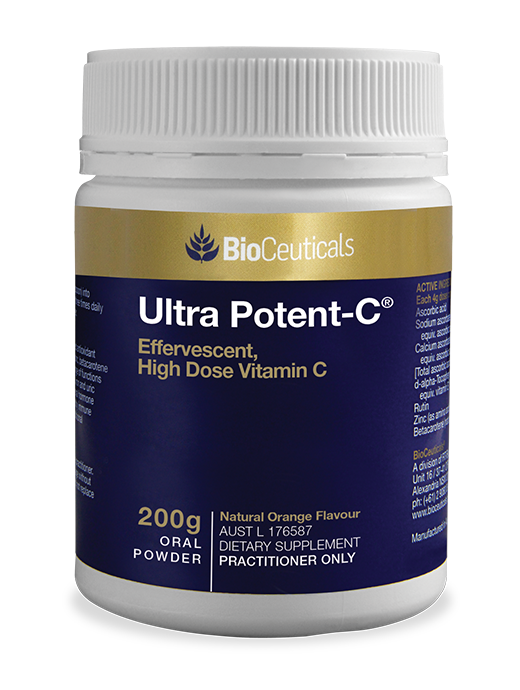 Try our effervescent high-dose vitamin C and nutrients powder, with a tasty orange flavour. 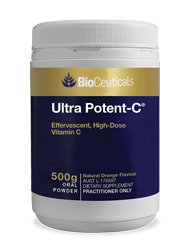 Ultra Potent-C combines a high dose of various forms of vitamin C, together with zinc, vitamin E, betacarotene and rutin in an easy-to-mix-and-drink oral powder for immune system and antioxidant support. 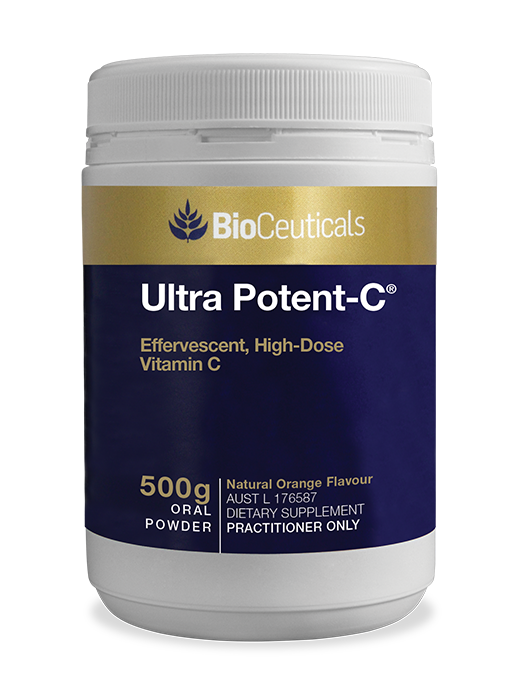 2.45g of total vitamin C per 4g dose. A blend of three ascorbates providing optimal delivery of vitamin C with minimal gastrointestinal discomfort. Contains zinc chelated to an amino acid; known to enhance zinc absorption. In the amino acid chelate form zinc bisglycinate, zinc had an increased bioavailability of 43% in women. Vitamin E, betacarotene and rutin provide additional nutritional and antioxidant support. May reduce the severity and duration of symptoms associated with the common cold. Provides nutrients for immune support and maintenance. Contribute to the body's antioxidant defence systems. Vitamin C is involved in adrenal hormone production. May provide nutritional support for healthy connective tissue. Vitamin C is involved in minor wound-healing, the cross-linking of collagen, and the synthesis of hormones and neurotransmitters. Helps maintain healthy sperm; including quality, motility and number. Natural orange flavour for a pleasant-tasting beverage. Adults: Mix one 4g dose (1 level metric teaspoon) into 250mL of water or juice. Consume one to three times daily or as directed by your healthcare practitioner. Contains 192.4mg sodium per dose.